Register for the Summer Sizzler 5K/10K today! Due to the dangerous air quality level in Chico, we have made the very difficult decision to cancel tomorrow's Summer Sizzler. The air quality has decreased significantly over the past few hours and we don't feel that it's right to put you in an unsafe environment. Because of the costs already incurred we are unable to offer refunds, but we encourage you to come to the park (Cedar Grove) in the morning to pick up your shirt and medal. We'll be there from 6:30 - 7:45 a.m.
Lastly, the first 95 people to pick up their goodies will get a super cool cinch pack! The 5K race is open to walkers and runners. 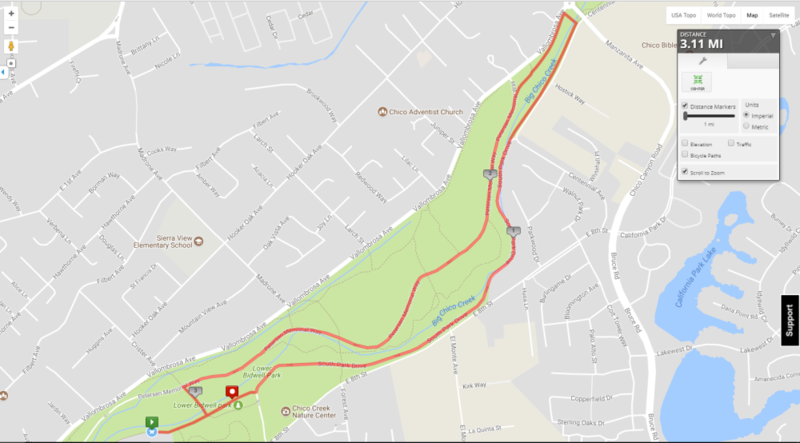 The 5K course starts near Cedar Grove, heads up to the Manzanita footbridge, back down the north side of the park onto Peterson, then over the Cedar Grove bridge and to the finish line. The 10K race is open to runners only. The course is open for two (2) hours. 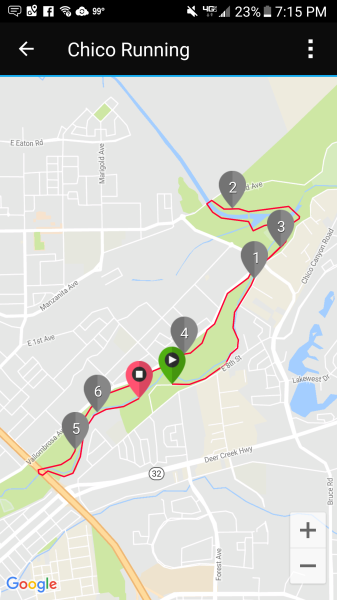 The course goes into both Lower and Upper Bidwell Park. Runners start at the Deer Pens near the Forest St. bridge, and head out towards Upper Bidwell Park. After passing under the Manzanita bridge, the course heads through 5 Mile Recreation Area, and over the footbridge. On the other side of the footbridge, the course turns left and into the wooded area heading towards Wildwood Park.The course turns left onto the footbridge at Wildwood Ave., then takes a quick left turn onto the levee heading back towards 5 Mile. At the intersection with the paved path, runners turn right towards Manzanita and go back under the bridge. On the other side (at the aid station), runners turn right and go over the Manzanita footbridge and left onto the pathway. Runners transition onto the trail immediately. At approximately Mile 4.5, runners transition to the road. The course turns left under the bridge at Hwy 99, and then left onto South Park Drive. The finish line is at Cedar Grove. Packet pick up will be on race morning ONLY at the race site beginning at 6:30 a.m.!